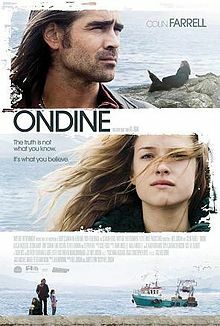 Ondine is a 2009 modern telling of not so much a fairy-tale but more of the concept of Selkies. Selkies are a mystical creature that are like seals in the water but assume human form on land and if they are like the film’s idea of the they have a lot of rules. Ondine is about a down on his luck Irish fisherman, Syracuse who is a recovering alcoholic. He is divorced and his daughter has kidney failure, I know what a cliche. One day he pulls up a lady in this nets who doesn’t want to be seen by anyone. She goes by the name Ondine Also his luck starts turning around as he he catches more lobster and other big fish. Syracuse and his daughter, Annie start really thinking Ondine is a seal maiden but this story has a twist to it, which I won’t spoil. 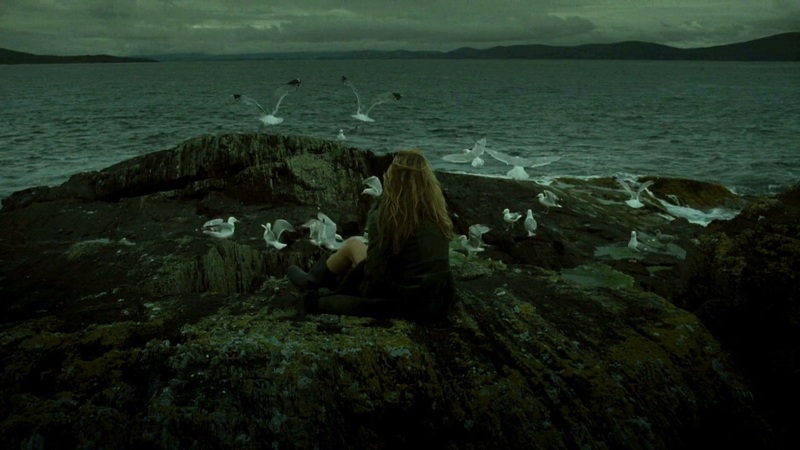 So while it turns out Ondine isn’t a selkie the movie REALLY plays up that she is till Syracuse hears the song she had been singing the whole time is real-world song by Sigur Ros. So if you don’t know that she isn’t one the movie gives some world magical coincidences that point it being true, the movie tricks you. And I will say that the big reveal/climax and ending are a little weird and silly in not the best way. But why does Ondine play that she is a selkie? She doesn’t really deny it. The reason is she wants to escape her sordid life and gives in to the fantasy that Annie and Syracuse come up with to explain it. I should make it clear, the idea that she is a Selkie comes from a hypothetical story that Syracuse tells Annie and she say “oh the story you’re telling is a about a selkie.” This gives the story and the way the characters operate in the story fell organic even though they are flawed. The shots of the Irish ocean and seaside are lovely. It has a very monochrome color palette that works for the story. There is also a understated rustic bohemian style. The acting is fine on the whole, nothing feels unnatural. Ondine is a take on the selkie myth with interesting characters and a story that doesn’t speak down the audience, though the ending is rather weird.